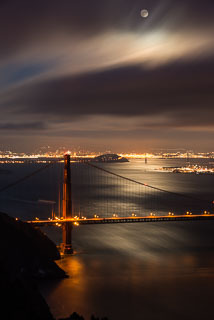 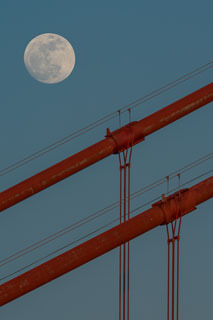 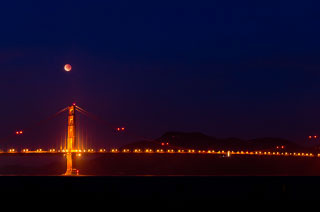 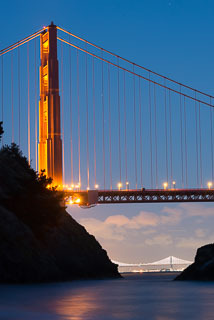 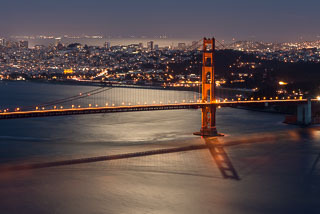 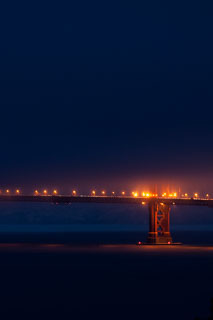 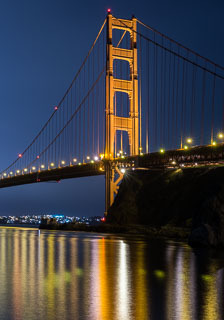 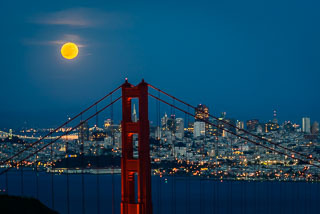 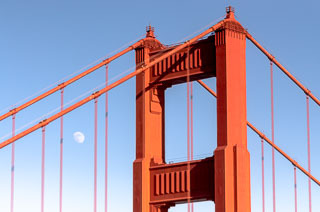 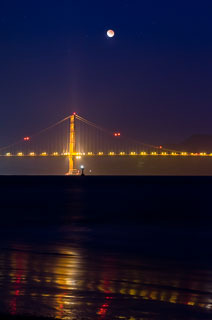 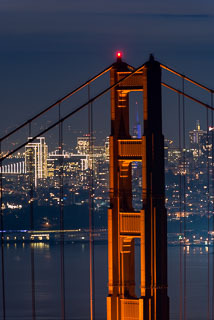 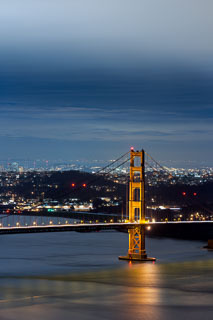 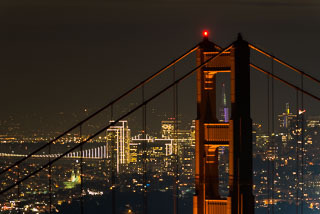 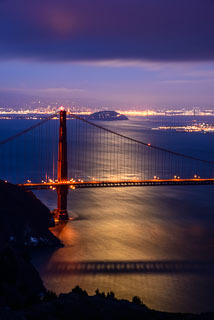 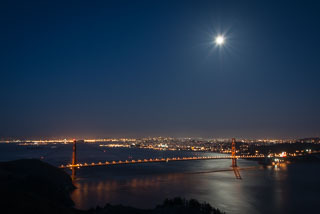 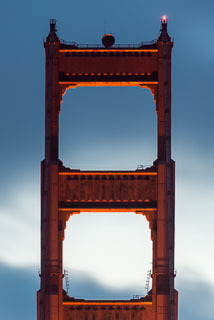 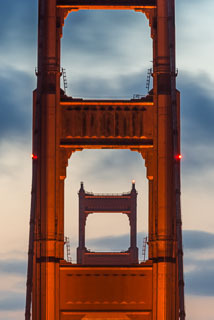 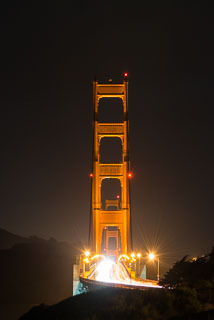 Golden Gate Tower illuminated by the full moon. 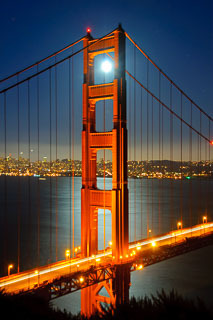 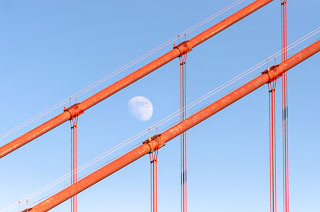 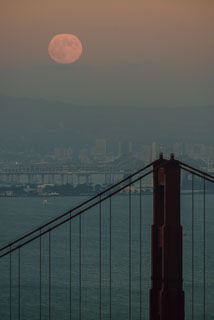 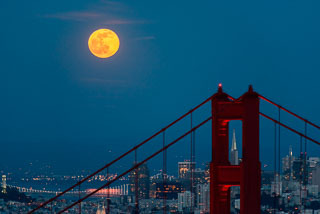 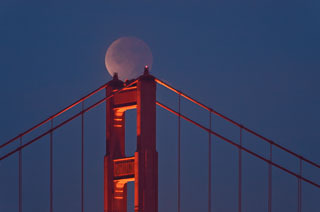 Looks like the moon takes a break and rests on top of the Golden Gate tower. 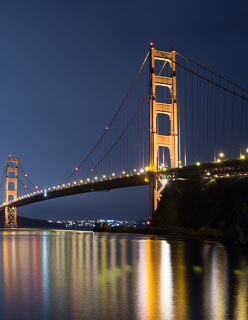 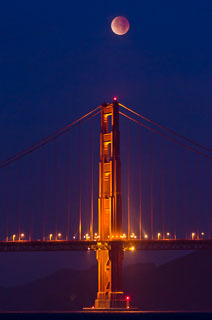 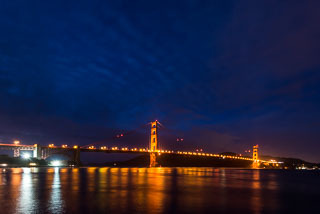 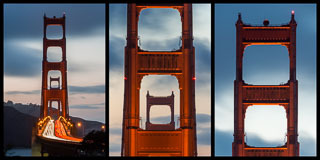 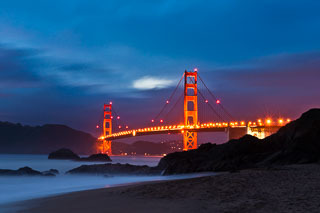 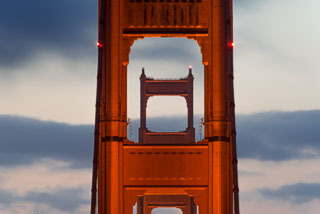 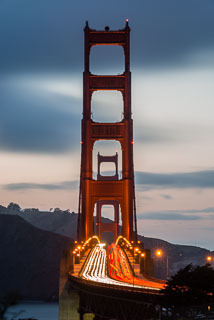 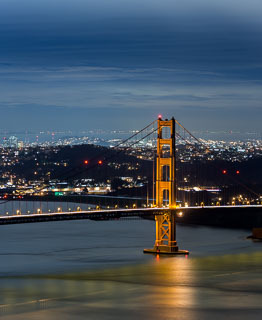 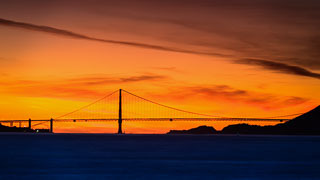 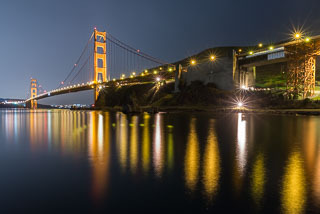 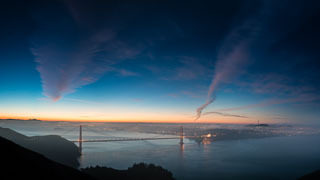 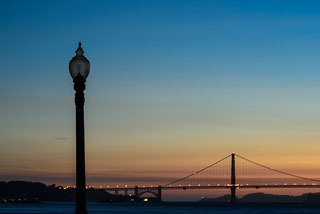 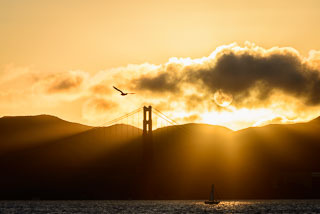 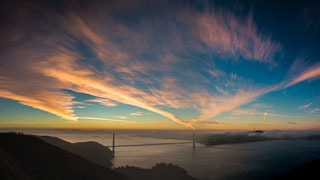 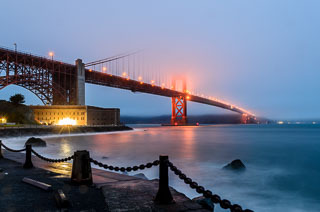 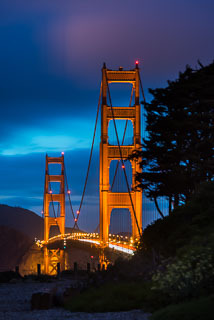 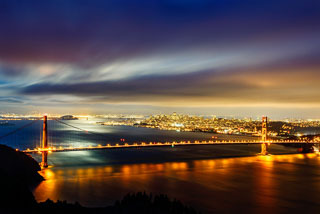 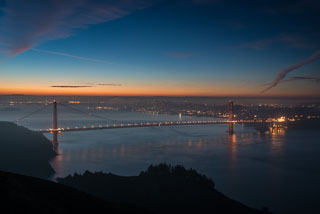 Golden Gate Bridge at Dusk. 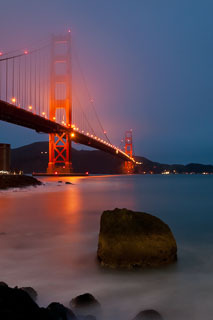 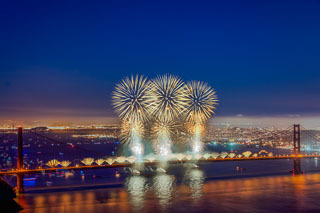 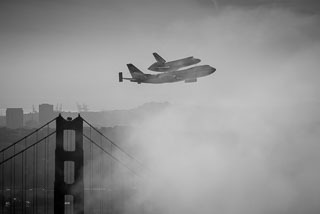 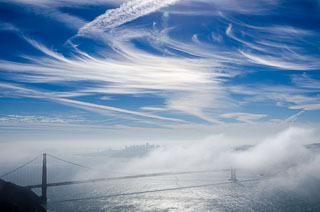 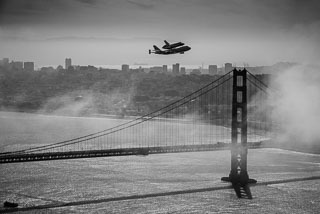 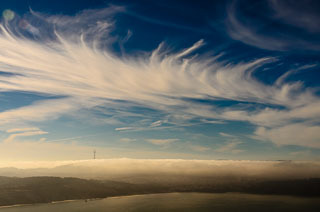 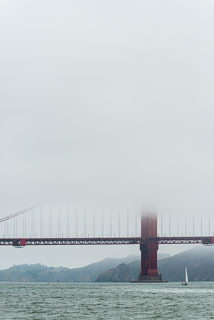 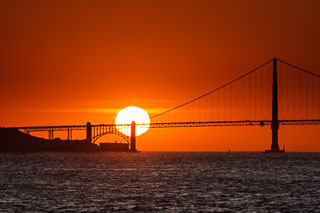 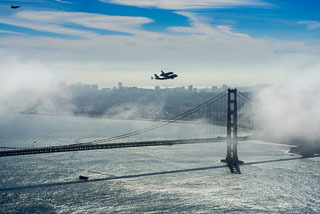 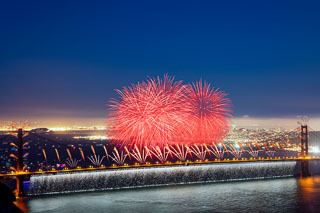 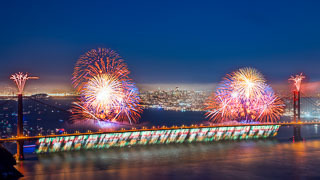 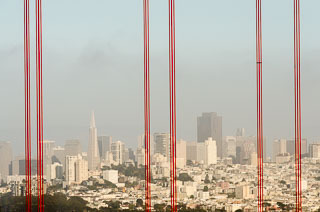 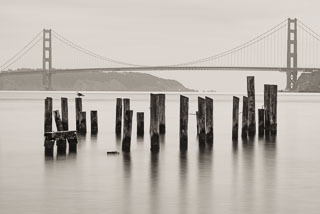 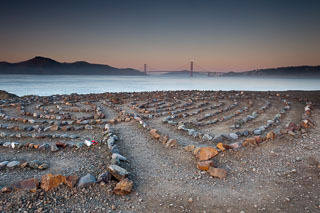 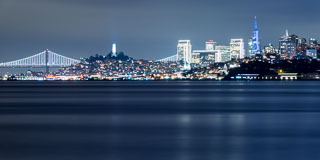 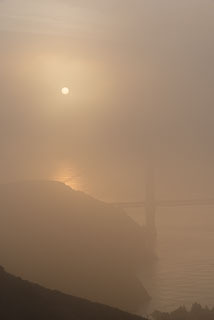 This is picture was taken from Baker Beach in San Francisco. 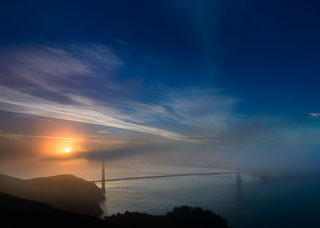 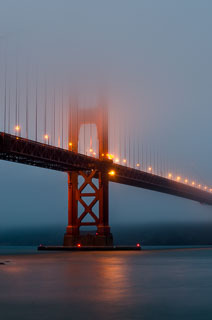 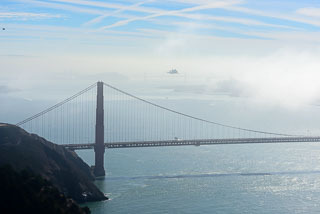 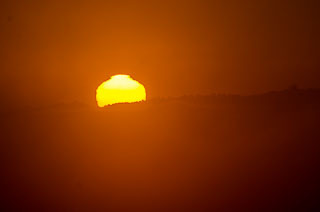 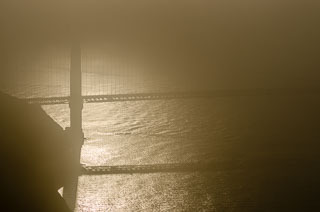 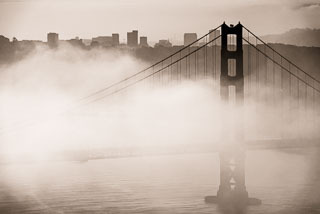 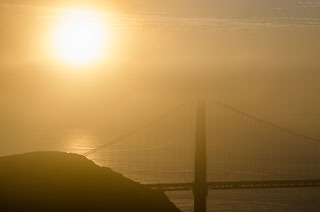 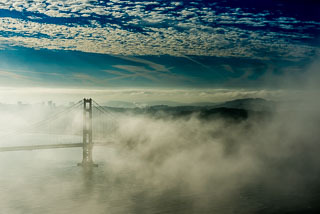 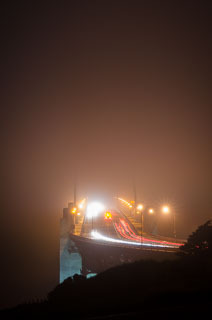 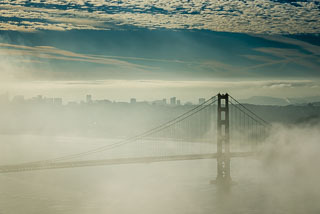 Golden Gate Bridge at sunset with fog moving slowly into the bay area.